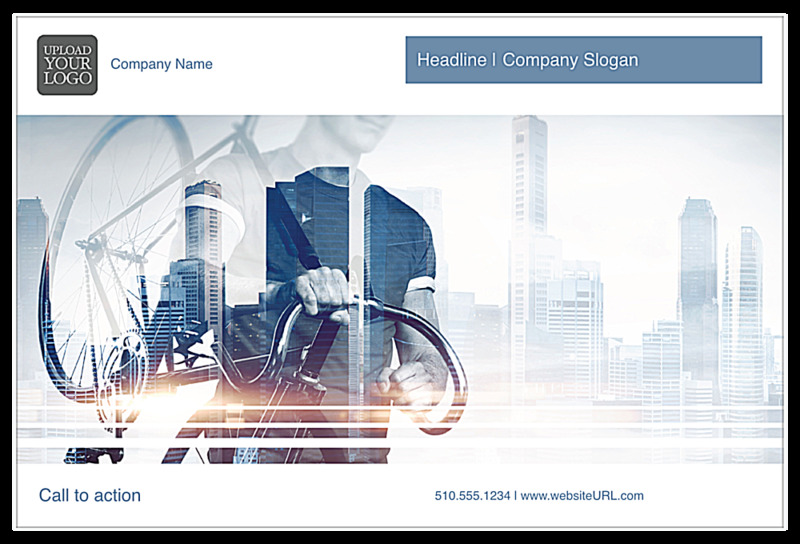 Customers will travel to the door of your city-based business with our modern City Commute postcard design template, ideal for cutting edge start-up businesses and businesses in the cycling industry. On the front, you’ll find an image of a cyclist set against a city skyscape. Above the graphic there’s space for your logo, company name, headline, and slogan. Below, find space for your company contact information. 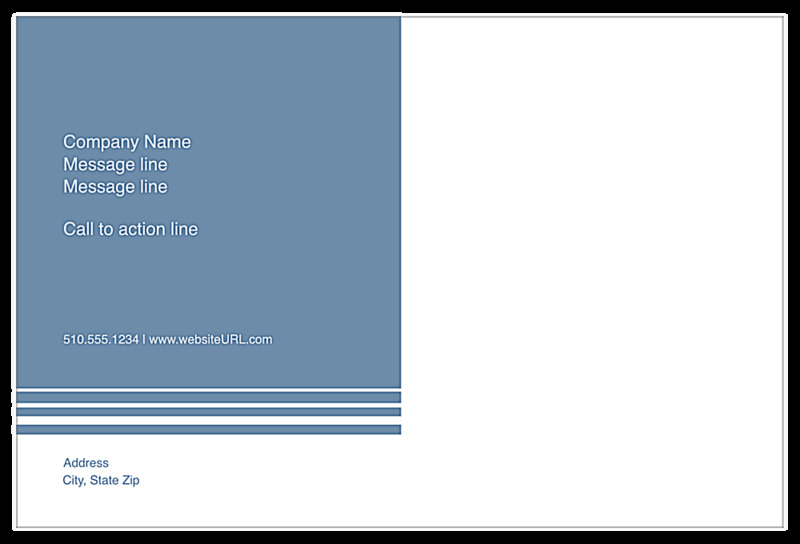 On the back, you’ll find the traditional postcard layout with a striking color field on the left for your message and call to action and white space below that for contact information. City Commute is available in three different color schemes. Personalize your postcard design in just minutes with our online postcard maker! Customize your postcard design fast and easy with our easy-to-use online design tool. Start with a professionally-designed postcard template, then use the tool and follow prompts to choose your color scheme, logo and images, and add custom text. You can even share your design with your colleagues by downloading a free PDF before you print custom postcards. Thousands of businesses trust us with their print marketing materials every day. Quick printing turnaround and reliability, plus premium postcard paper stock and ink, ensure that you’ll be delighted with your finished postcard project. Our 100% customer satisfaction guarantee gives you the confidence to choose PsPrint as your online printing partner. Our custom printing team is available to help you print the perfect postcards. And don’t forget, PsPrint offers a complete line of marketing materials including business cards, brochures, labels, newsletters, and more!